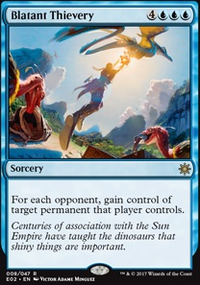 Unsure who "Opponent" refers to in redirected spells, and of ownership of the spells. 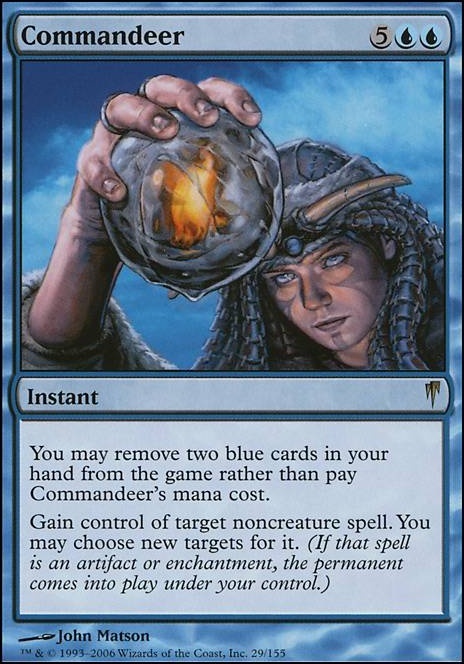 You may remove two blue cards in your hand from the game rather than pay Commandeer's mana cost. Thanks for the comment, Kholek. I'll think about trying Commandeer . Any counter you would cut in order to make room for it? this look crazy fun. lot of combos. I'm not really a blue player but i have dabbled a bit with it. and when it comes to cards to really get ahead, one card always comes to mind. it's a counter spell that never fails me Commandeer . being able to steal someone's tutor and or ramp is so satisfying. When you gain control of a spell you get that spell just like it was cast. 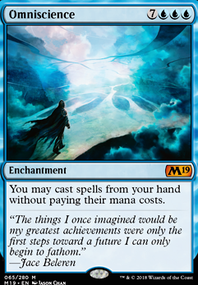 Any choices (such as overload) that need to be done during casting can not be changed unless the spell or effect you used to gain control states you can change them. So mode spells you would gain that spell with the mode already chosen. 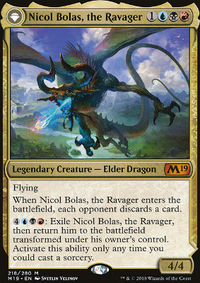 So Abzan Charm , with the exile creature mode chosen, being commandeered would get you that spell with that mode chosen, Commandeer would only let you choose different target. The same applies to copying a spell. Fork -ing a spell copies all choices made while being cast. Fork only allows targets to change. I added Vendilion Clique and a bunch of other value etb creatures. The true power in this deck is the ability to abuse really good etb steal effects Puppeteer Clique, Cloud of Faeries. 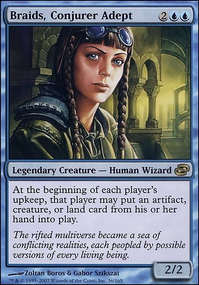 Next combine with extra turns and high cmc spells you can cast for less. Dig Through Time, Commandeer, Misdirection. Cloudius went 3W-1L today. Switched some cards at the last moment after checking out the competition. 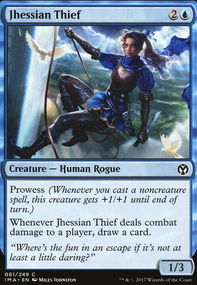 Out of the 16 people there I noticed that at least 5 played with an alternative wincon deck, so I swapped out Jace for Commandeer and Dimir Machinations for Denying Wind. I know Denying Wind sounds janky but it really did a number on 2 people in those 4 rounds, killing their combo's and removing their wincons. It basically left them with a dead pile of cards and they were sitting ducks from that point onward. Them complaining after that Denying Wind should be banned was icing on the cake. I wouldn't play it other wise to be fair, at a certain point I had it in my starting hand and if I didn't have a Scroll Rack to go with it I would have mulliganed. Won twice with Approach of the Second Sun (feels good man) and once with Misdirection redirecting a 25 mana Fireball that was aimed towards me to another player with low HP and then killing the last guy with commander damage and extra turns galore. The last round was undo-able seeing one guy went infinite with his Narset, Enlightened Master on turn 5 and no one could do anything anymore at that point. All in all, works great! Still needs some tuning here and there, but it also depends on what people are playing. Was looking into maybe putting Timetwister in their but I get the feeling I give my opponents more answers to the cards I'm going to play. Will try to update you if I find something out.